EKF Diagnostics announces that it will launch the Altair™ 240 clinical chemistry analyzer to the European market at Medica 2015, Düsseldorf, 16-19th November. 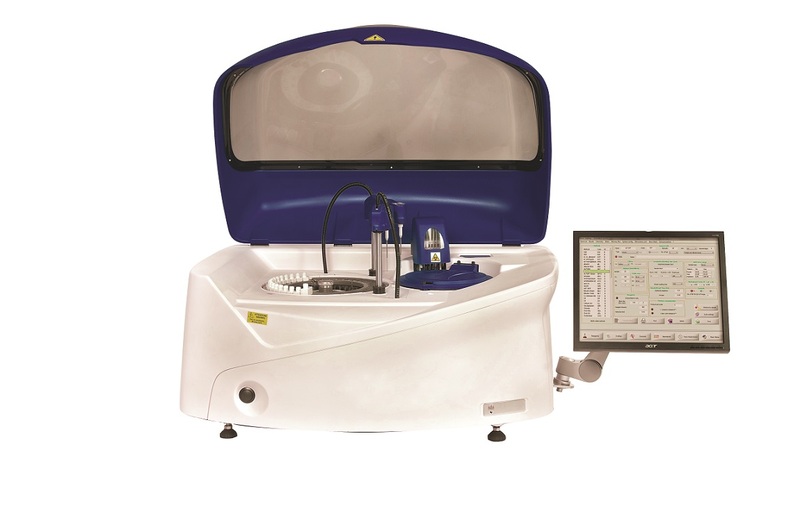 This new analyzer has been launched to fulfill an international requirement for a fully automated bench-top platform that is cost-effective, easy to learn, operate and maintain. In addition to seeing live demonstrations of the new Altair™ 240, visitors to EKF’s stand (C70, Hall 3) at Medica 2015 can view the latest additions to its range of Stanbio liquid-stable, LiquiColor® and Liqui-UV® clinical chemistry reagents. Alongside these products for the central laboratory, EKF will also exhibit its full range of point-of-care analyzers. Compact, reliable and random access, the new Altair™ 240 is supported by a broad range of bar-coded, liquid stable, ready-to-use Stanbio Chemistry reagents for routine and special chemistries. With positions for 43 reagents, the ability to configure open channels for esoteric testing, as well as STAT interruption permitted, the Altair 240 provides a flexible and comprehensive solution. This means it can be used as either a main or back-up analyzer, improving productivity in both the hospital and physician’s office laboratory environments. Incorporating LIS bi-directional connectivity and running on intuitive Windows®-based software, learning and operating the analyzer is quick and easy. Furthermore, the Altair™ 240 automatically reads and manages barcoded reagent bottles and sample tubes. The system’s automated performance also enables auto-rerun and auto-dilution of samples. The new analyzer is highly efficient since it can run up to 400 tests per hour with an optional ISE module. Dual reagent probes translate to higher throughput and faster patient turn-around times. Operating cost efficiencies are also realized through an integrated cuvette washing station, enabling the reuse of cuvettes; as well as continual 24-hour on-board cooling, which ensures most reagents have a 30-day on board stability to minimize waste. At Medica 2015, EKF will also discuss the latest additions to its Stanbio clinical chemistry range, all designed for maximum stability and ease of use. This range includes a large selection of clinical chemistry assays, controls and calibrators, which are fully compatible with most major brand open channel chemistry analyzers, including the Altair™ 240. A notable addition is the Stanbio Chemistry Glycated Serum Protein (GSP) LiquiColor® test; a new diabetes biomarker test that provides a 2-3 week indicator of average blood glucose. Alongside the new Altair™ 240 and its range of products for the central laboratory, which also includes, Micro 12™, SlidePrep™ and PlasmaPrep™ clinical centrifuges, EKF will also be exhibiting its full range of POC blood analyzers. This comprehensive range includes hemoglobin analyzers, lactate analyzers, glucose testing and HbA1c analyzers. All are simple to use and designed to quickly deliver accurate results to aid the diagnosis of anemia, diabetes and associated conditions. For more information on EKF Diagnostics and its range of products, please visit EKF Diagnostics at Medica 2015, Stand C70, Hall 3, or click the further information button below.